PHIL JONES, correspondent: In the 1950s, Bill Gaither used to turn on his radio and listen to all the gospel music stars. He was a farm boy with a field of dreams. BILL GAITHER: I kept dreaming of the day that maybe, just maybe, I could write a song that would catch the attention of somebody or sing a song that would catch the attention of somebody. Am I blessed guy? I mean, I’m blessed. What can I say? JONES: In 1963, his dream came true. He wrote a hit. 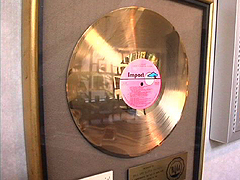 Elvis Presley recorded it and won a Grammy, but the lyrics belonged to Bill Gaither. JONES: Since then, Bill and his wife, Gloria, former English and French teachers, have written more than 700 gospel songs. Many of them are in today’s church hymnals. 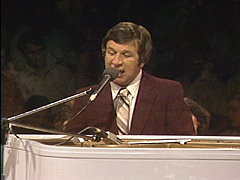 ROBERT SILVERS (Former Religion Editor, Saturday Evening Post): What would the Christian world, the gospel music world, have been like if we hadn’t had Bill and Gloria Gaither? And I just felt like it would leave a lot of empty pages in those song books. JONES: …performing homecoming events with their friends, stars of gospel music past and present. When they were named gospel song writers of the century in 2000, it was said the Gaithers are to Christian music what the Beatles were to pop music. They were among the first to introduce contemporary religious music. BILL GAITHER: In fact, we had a pretty well-known college that banned their kids in ’68 from coming to see the Bill Gaither Trio because they said it’s worldly music. JONES: Where would you say that you fit into the evangelical world? BILL GAITHER: I’m not sure we really do. I think we’ve been mavericks from the beginning. 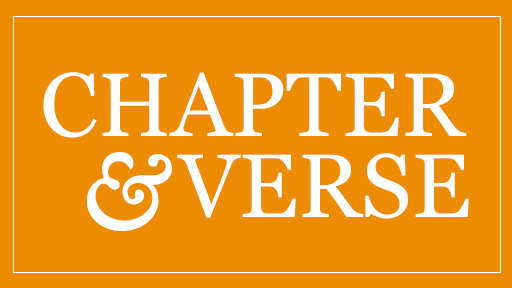 BILL GAITHER: Are we contemporary? Are we traditional? Are we country? Are we progressive? Labels are so dangerous. I’m a follower of Christ. I believe in the message. I believe in redemption, and if I didn’t, Gloria and I would stop today and go to the mountains and retire and rock on a rocking chair. JONES: Bill and Gloria Gaither have earned enough fame and money to live any place they choose. 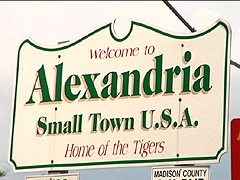 They have chosen to stay right here in Alexandria, Indiana, population about 6,000. It was picked by the federal government during World War II to use in the propaganda theme throughout Europe depicting small town USA. GLORIA GAITHER: An awful lot of our lyrics and a lot of our philosophy comes out of being rooted in a small town with real people and real life. JONES: There was a time back in the mid-’80s that Bill Gaither felt his trio had peaked, but he wasn’t ready to hang it up. He wanted one more shot to make a gospel hit. So he reached out. BILL GAITHER: You know, and I called a bunch of the old timers and I said, ah, we’re gonna come in and have fun. We’re gonna have the radio days. 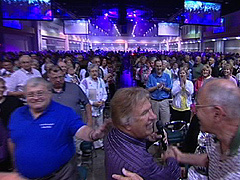 JONES: And they came to join Bill and his Gaither Vocal Band—big stars from all over the country. Little did they know that this reunion with the Gaithers would turn into a concert series around the world called Homecoming. The themes—patriotism and religion. JONES: What the people see on stage reflects the spiritual tone set off stage. Before each night’s show there is a private prayer with the singers. GLORIA GAITHER: Lord, we love you, and we are always in awe when people come. We pray that we can be the channel that you can use to speak to somebody who is hurting or discouraged or just plain tired. JONES: Among Bill Gaither’s fans are some who tell him they are not religious. BILL GAITHER: I think it’s the music. I think it’s a positive message. I think it’s community. I think it’s them seeing people care about other people. VERNA FISHER: I’m here because I love the spirit of worship. I love to watch how they—they’re not there to perform. They’re there to honor God. JONES: For the old timers, hanging out with Bill and Gloria has kept them from fading into oblivion. For some of the younger folks, Bill Gaither has catapulted their careers. Ask the Booth Brothers. RONNIE BOOTH: I mean, it just rapidly got bigger for us, bigger in that we were reaching audiences that we would have never reached before, all because of his platform. MICHAEL BOOTH: Let’s encourage each other, let’s love each other, support each other, and that is a summed-up way of the Bible expressing how the family of God is supposed to work, and so it’s a little picture of the way the family is supposed to work is how this Gaither thing expresses itself night after night, on stage and off. LYNDA RANDLE: What I love that Bill says it’s not–we do a little entertaining because it’s fun and people love to laugh, but then there’s the ministry aspect of it. JONES: Gloria and Bill still live in the house they bought back when they got married. GLORIA GAITHER: We had a marriage interview one time for a magazine, and they said do you ever fight? To which we said, oh, you could sell tickets. JONES: Their business world has changed dramatically in the past few years. They have built the Gaither Music Company located along the highway leading through the middle of their home town. They travel like rock stars—huge touring buses, sometimes a private jet. JONES: And they’ve added a gift store-restaurant-reception facility for tourists and fans. ROBERT SILVERS: I’d say if there’s ever been a legend in gospel music, it has to be the Gaithers. JONES: Are you a minister or a musician? BILL GAITHER: Yes. Yes. Next question? My old mentor-buddy used to say that Jesus must have been a pretty good entertainer to hold the attention of 5,000 people on a hillside at the Sea of Galilee without a microphone. For Religion & Ethics NewsWeekly, I’m Phil Jones in Alexandria, Indiana.